This natural scoop is perfect for dosing out bath salts or body scrubs. This charming natural wooden scoop is perfect for dosing out bath salts or body scrubs and can also be used for promotional purposes. 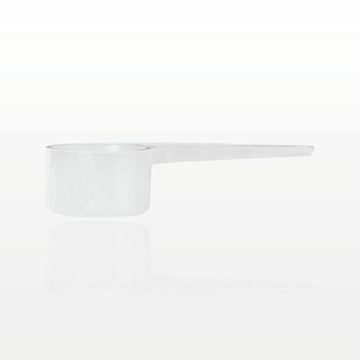 This disposable polystyrene sampling spoon is ideal for scooping out or measuring small amounts of product. 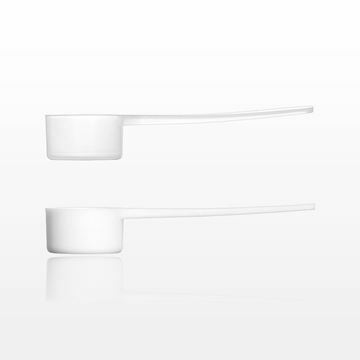 This scoop is perfect for dosing out bath salts, body scrubs, powders or other cosmetic formulations. The flat surface of the scoop allows for level measuring. 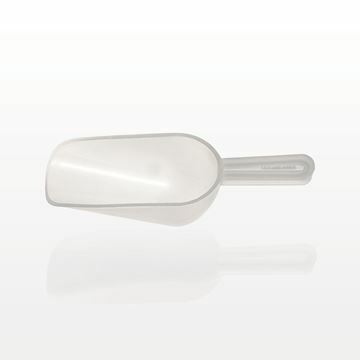 This disposable white scoop with long handle is ideal for measuring small amounts of formulas up to 0.15 ml. 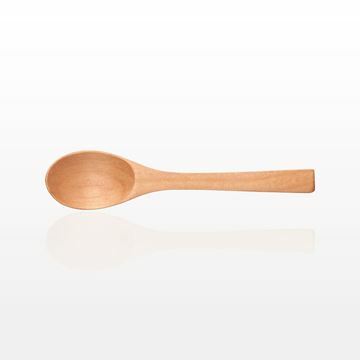 This charming natural wooden spoon is perfect for dosing out bath salts, body scrubs, powders or other cosmetic formulations. Our large selection of bulk measuring spoons fits a full range of applications, including those in the beauty, research and food service industries. By using the right measuring spoons, the correct product amounts will be scooped, transferred and mixed. We offer a variety of spoon sizes, materials and shapes. Product waste and mess are minimized when the appropriate size sampling spoon is utilized to transfer everything from solids to liquids. A mini-sampling spoon is ideal for meticulous cosmetic tasks. It assists with the measurement of fine particles. 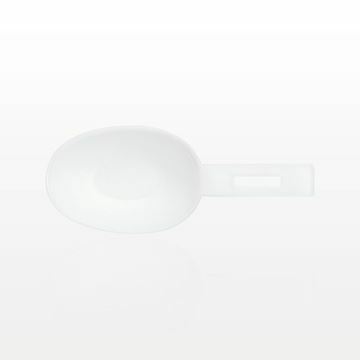 Remember, at Qosmedix, we make ordering spoons and scoops in bulk packaging fast and affordable. An elegant wooden scoop is the perfect promotional item! It can also be an essential tool for spa treatment applications. Why not package our natural wooden scoops for bath salts and scrubs with your personal care products? You'll create eye-catching retail presentations. Customers can use a bath salt scoop for the level measuring of products. Our individually wrapped scoops also offer a great opportunity for customization. Qosmedix provides the top tools for professional applications – from wooden bath scrub scoops to the best measuring cups. It's time to take the guesswork out of measuring and mixing. Wholesale measuring spoons and scoops are must-have items for the spa or salon environment. 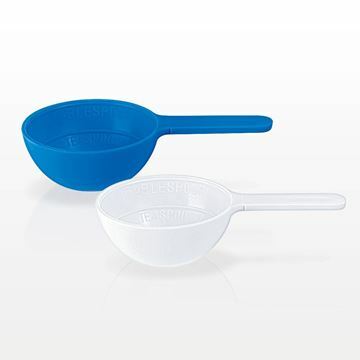 Our small disposable scoops support the exact measurement and management of lower product volumes. They feature long handles that we'll be happy to customize for your business. We want your company to have the wholesale scoops, sampling spoons, and other measuring products required for daily tasks and product packaging. Contact us today to learn more!